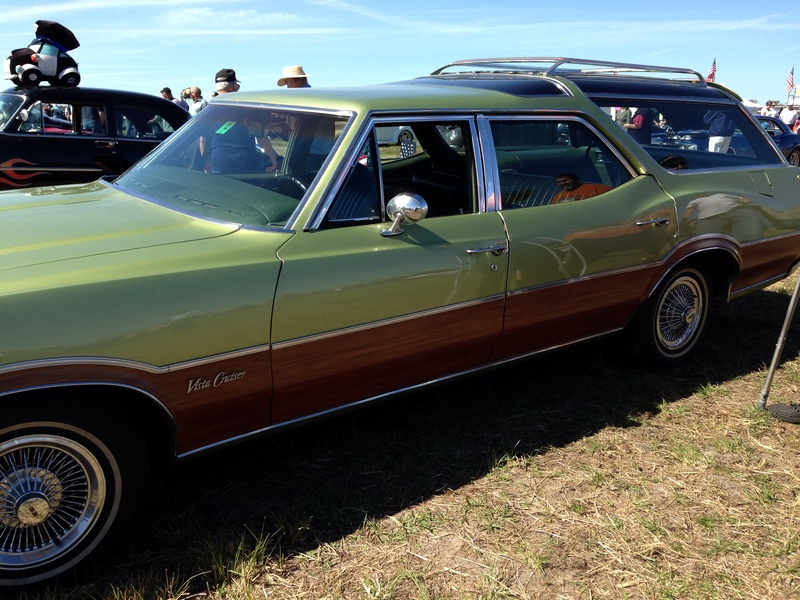 I went with my husband to the 46th Annual Devereaux-Kaiser Antique Car Show held in Lakewood Ranch today. 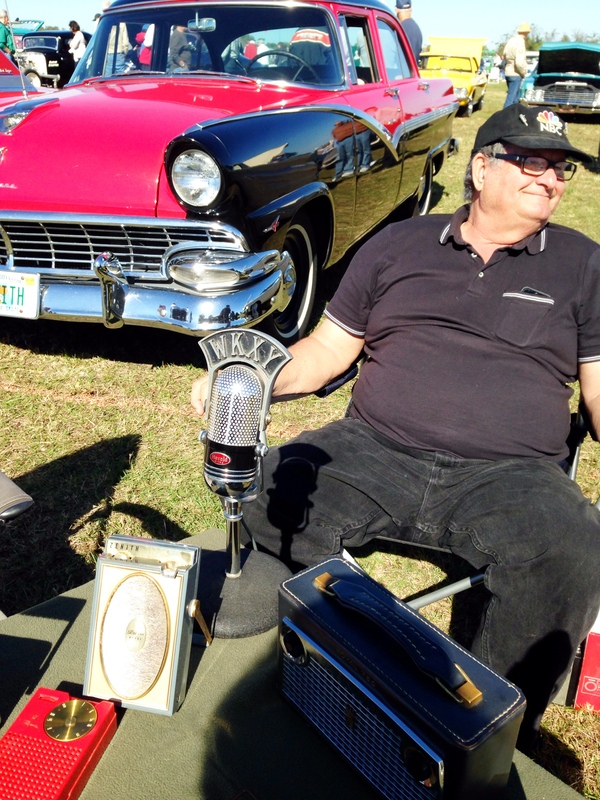 He pointed out many cars that he had owned in his earlier years – ’67 Chevy Nova, ’62 Chevy Impala, ’64 Galaxy, ’57 Ford Fairlane, Chevy Corvair, MGB, ’70 Mustang, …..
Thousands of people showed up to reflect on their past and enjoy their classic car memories. 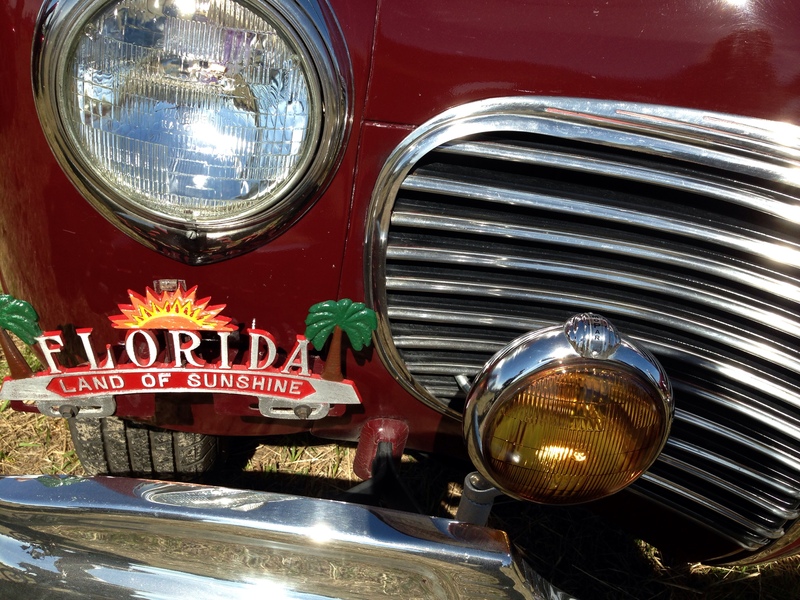 More than a thousand vintage cars, 1990 or older, from all over Florida and neighboring states were on display. 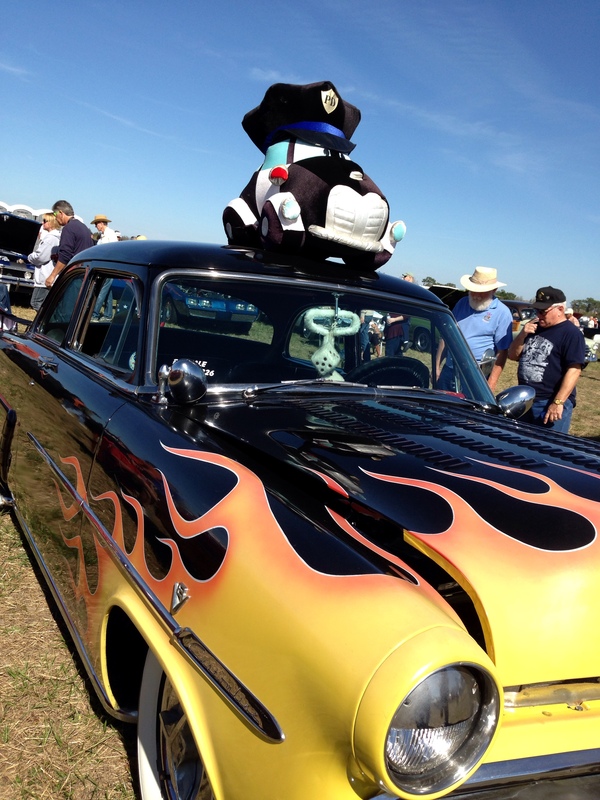 This collector car meet was for any vehicle 25 years or older. 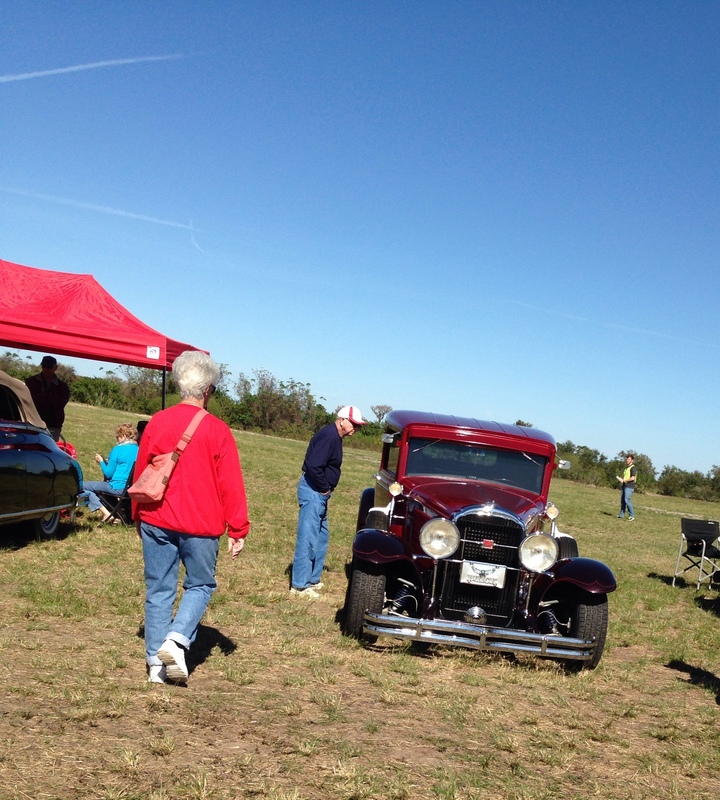 There was also a car corral for those wishing to sell their vehicles, vendors (couldn’t resist buying a vinatage sign), and refreshments provided by the Sarasota Bahia Vista Mennonite Church (had to buy a fresh donut and sloppy joe, of course!). 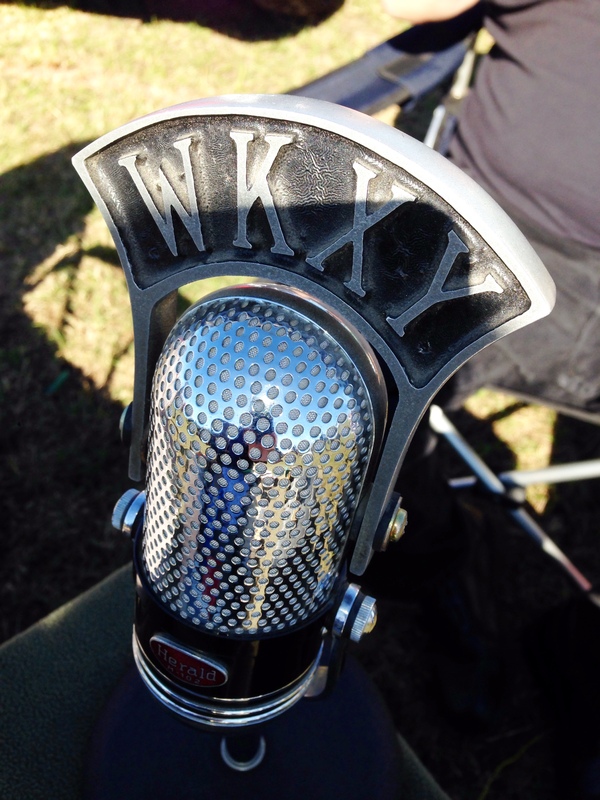 I was drawn to a table with old radio microphones and there was Norm who used to work for WKXY and WYND. Ah yes – I remember calling in to make those dedications and song requests. This must’ve been a police car. 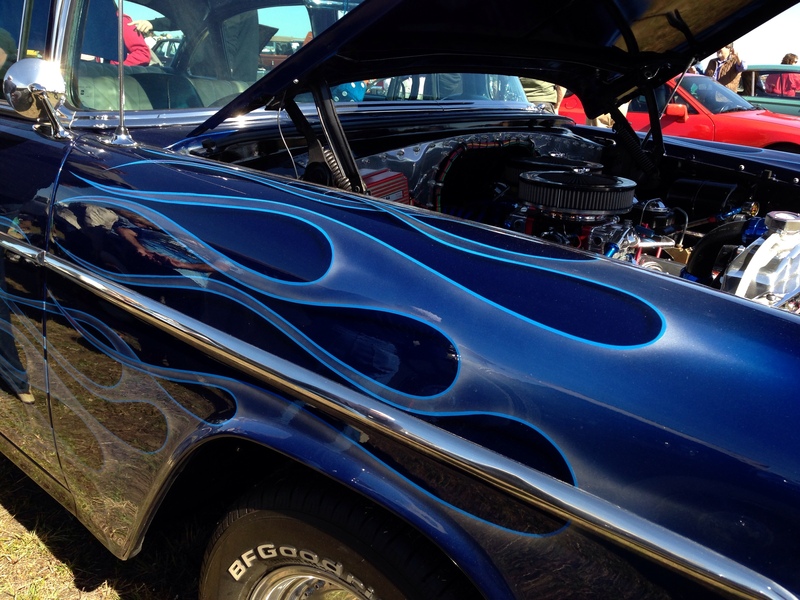 There are always muscle cars with flames in the show. Some are drawn to the classier cars. Does this make you think of the family truckster and a trip to Wally World?? And I appreciate the touches of humor. 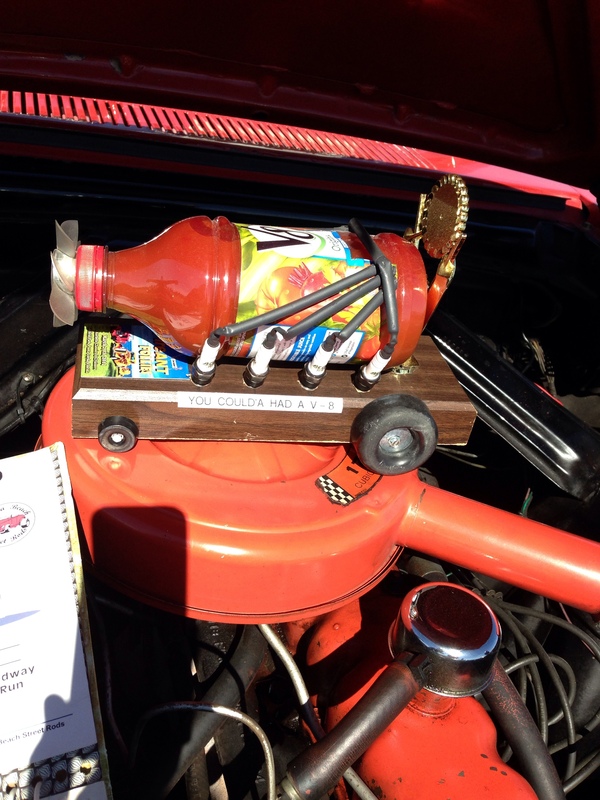 He could’ve had a V-8! Love the retro Florida touch, too. 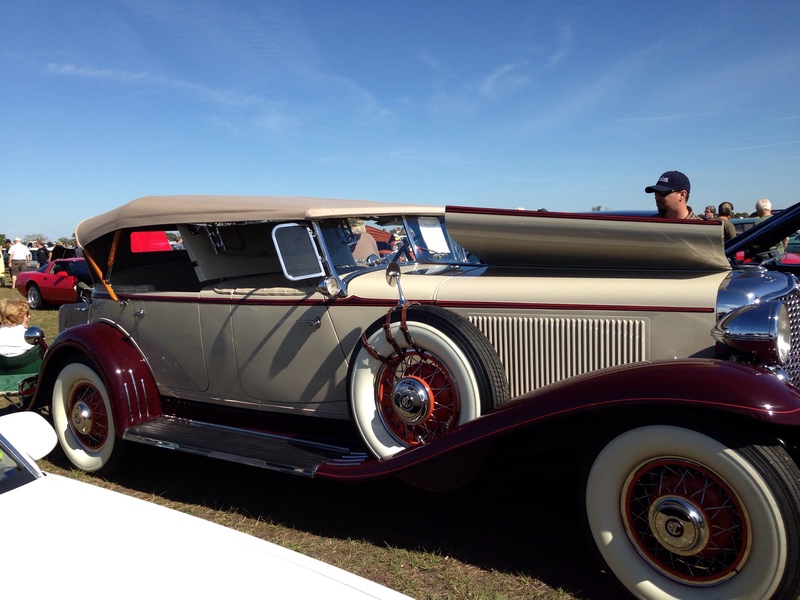 Categories: 52 week photo challenge, History | Tags: Car Show, Devereaux-Kaiser Collector Antique Car Show, Henry Ford quotes, Lakewood Ranch, WKXY radio | Permalink. Thank you. I wasn’t planning on using these, but those things happen, don’t they?! I’m not a big car fan (just lack knowledge) but I love your pictures. Your quotes & your own input had me smiling throughout. Love it! Oh – thank you. I’m totally ignorant about cars, but there’s always something fun to be found. 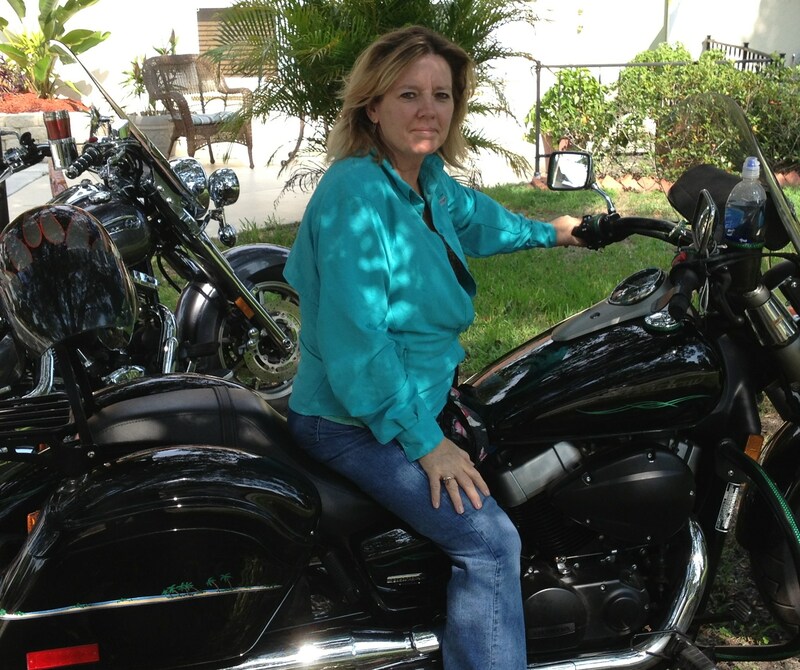 Luckily another couple joined us and the men could talk cars while us “women folk” just caught up with each other. Probably walked by you as i was out there photographing the cars etc as well. I’m anxious to see your post if you’re sharing any! It’s hard to see everything – especially if you’re visiting with friends and strolling along at the same time. Ahh but most of my photos will be through the meetup group. West coast camera club and not on the blog. You had many subjects to capture reflections in. Very nice. Fantastic series of shots Marie. Well done. Great set of photos and I like your quotes too. The colour stood out for me. Cars with character.